Oversized Jumper: Urban Outfitters / Bag: Vintage / Shoes: Missguided / Necklace: Primark / Sunglasses: Primark / Sunglasses: Primark / Earings: Primark. 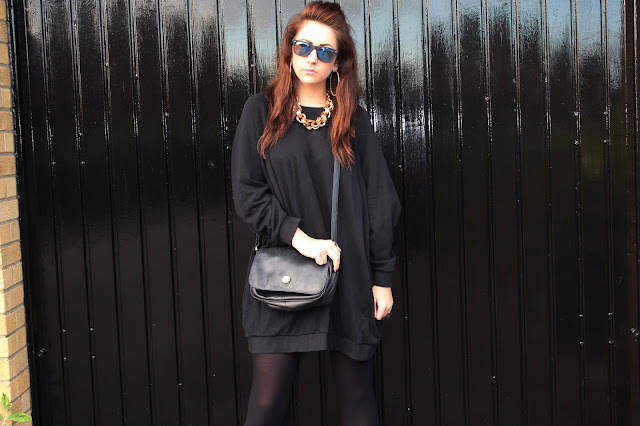 a black oversized jumper and a gold chain is literally my go to outfit for chilled days, i love this look! 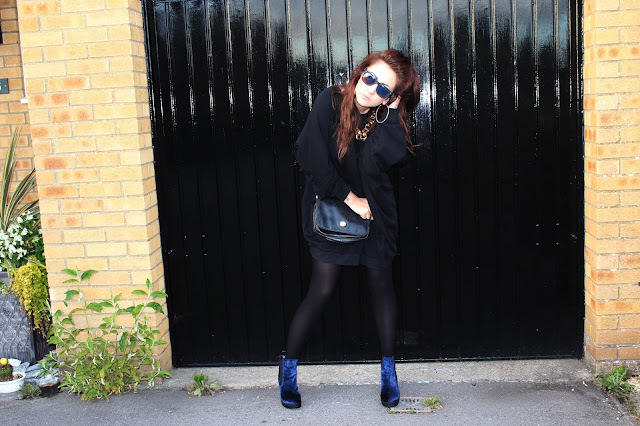 Thoses shoes are AMAZING, I love this outfit! Love your blog have nominated you for the Libster! Love the monochromy!Looks great with your hair colour and necklace! I love a good oversized jumper for the colder months and yours is one of them. 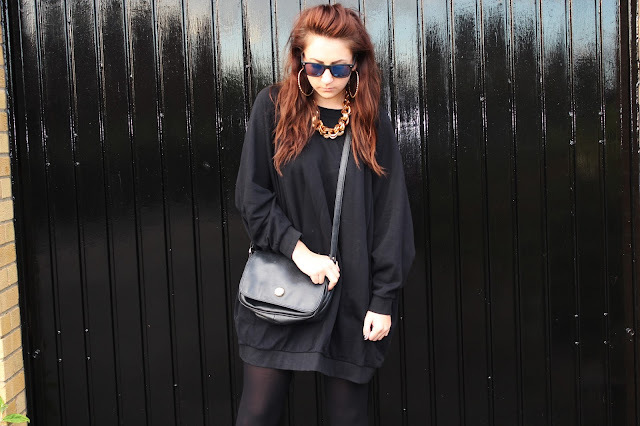 Love the oversized sweater and the pretty, minimal jewellery. Looks so effortless!